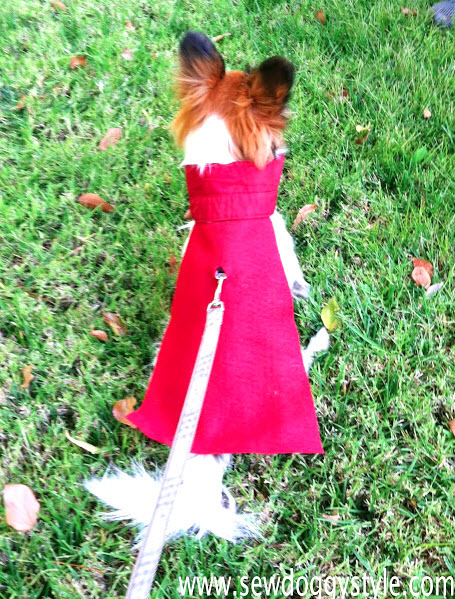 Turn a collared shirt into a cape for your dog to wear on walks! Get a collared shirt that has a button collar that fits your dog’s neck well and cut the collar off the shirt. Measure your dog and cut the back of the shirt to the size needed for the cape. Glue the top of the cape onto the inside of the collar. Cut a hole in the cape to accommodate your dog’s leash.